The domestic freight industry in India is huge and inefficient. It is extremely fragmented and unorganized. By various estimates, there are approximately 3 lakh registered transporters in India. Most of these are small, regional players. Numerous brokers and fleet owners are also involved in this eco-system. Most of the fleet owners own less than 5 vehicles. There is lack of information related to service rating of transporters. It is difficult to gauge the quality of a transporter. An organized freight exchange where shippers, transporters, brokers and fleet owners can participate can attempt to bridge the demand and supply mismatch and increase the efficiency in the entire chain. However, many freight exchange initiatives in India have failed to take off. Let us try and understand why. Some exchanges have held the promise of dis-inter-mediation- such as removal of brokers from the transaction, hence improving efficiency. However, this has not succeeded as planned because the role of these intermediaries has not been understood very well and the disinter-mediation has failed. For e.g. A broker today provides certain services to Transporters such as bed-and-board for outstation drivers, relief drivers from the outskirts of the city to inside the city who know city traffic patterns well etc. These are not easily replaced with just technology. While internet and mobile technology has significant penetration now, some of the earlier freight exchanges were slightly ahead of their time and could not leverage cheap data effectively. Even today, effective business collaboration is not happening. People tend to use mechanisms like WhatsApp which are not systemic collaboration mechanisms. Exchanges enable collaboration and hence can create synergy. But in our opinion, for any freight exchange platform to succeed, it is important that each participant (Service Providers and Service Users) can derive value from the exchange on a stand-alone basis. It will be a natural extension for companies using exchanges and deriving stand- alone benefits, to participate in an exchange to collaborate with other participants and derive value from network effect. Letting private exchanges to gradually evolve into public exchanges. Technology has transformed the way business is done, and certainly it is going to be a key component for a freight exchange as well. However, technology must be supported by strong operational capabilities to ensure service quality and consistency. Feet on the ground. Always!! Talk. Talk. Talk… All Blah! As we discuss collaboration among human and non-human entities, let us understand the evolution of the non-human entity a bit more. Going further back, it is widely accepted that private corporations (separate from individuals) were also in existence during the days of the Mauryan empire (320 to 300 BCE) of Chandragupta and Chanakya! Thus, a non-human entity has possibly been a part of human society for around 2400 years! And surely, this entity has been interacting with both humans and other non-human entities for at least as long! Now, let us look at the evolution of communication and collaboration protocols among these entities. It is safe to believe that any interaction that was necessary between such entities would largely have been done through human representatives through face-to-face conversations and also through the written word. Scrolls/letters and finance would have been carried by humans and delivered to humans, who were not within speaking and touching distance. A rudimentary postal system can be traced to the early 1500s and was reasonably well established by the 1650s across the world. The next quantum jump in communication technology can thought to be the wire-telegraph based on Samuel Morse’s work in the 1840s. By the 1860s, a fully functional trans-Atlantic cable is laid. Multiplexing- the ability to send multiple signals at the same time- is a reality by 1915, making wired communication much more efficient. Wireless communication also evolves in the same time frame and trans-continental telephony is in place by 1920. By 1960 telex is a reality. All this communication still requires some ‘human’ starting the process, and another being at the receiving end to ‘get’ the message. It is in 1965 that Trans-Atlantic Shipping manifests sent by Holland-American Steamship line using telex, are first converted to tape and loaded onto computers. Even though there is a human as the recipient, the ultimate recipient is a machine or ‘system’. This is a new revolution in communication. Now, this story gathers steam and there is rapid evolution in ‘communication protocol’. In 1973, FTP (File Transfer Protocol) is established and in 1975 the Transportation Data Coordinating Committee (TDCC) releases the first EDI standards. In the same year, the first VAN telenet is established. EDI can be thought of as the first real ‘system to system’ communication mechanism and this opens up the world of collaborative commerce. This rapidly gains ground and by 1985, the EDIFACT EDI standard is established. While EDI remains an incredibly effective and popular system-to-system collaboration mechanism, the ‘next big thing’ in this is the evolution of the API-based systemic interface mechanism as technology service providers start to architect their products to collaborate in this manner via secure transmission of data over the internet. Meanwhile, the ‘person-to-person’ communication also evolves to include additional channels such as email (which becomes commonly available starting from the mid-1990s) and social-media (WhatsApp from the 2010s). Businesses also start to exploit these channels and create a new communication paradigm of ‘system to person’- where the originator of the message is a machine and the recipient is an individual. Having gotten this overview, we are better positioned to understand how these protocols have been adopted across the Transportation and Logistics World, and what some of the resultant problems have been. We proudly state that ShipX is a Multi-Enterprise Collaborative technology platform for the Transportation and Logistics vertical. OK, so that sounds like a mouthful. But what does it even mean? Let’s start really, really at the beginning! As the human race continued to evolve and moved from the hunter-gatherer to the agricultural/pastoral age, onwards to the industrial age and subsequently to the tech-pervasive digital age of today, there has been the emergence of non-human entities in the form of companies/organizations- which though comprising people, effectively have a ‘life and a purpose’ of their own- when viewed through an anthropomorphic lens. These entities have always needed to and will always need to ‘interact’. The spoken and written words that serve for humans does not quite work, here! So why is this Interaction necessary? Is this interaction the same as ‘communication’? Individual humans have as a part of society evolved by honing certain skills of theirs at the expense of other skills, leading to them playing increasingly specialized roles in the world today. I do not grow my food, make my clothes, build my house, make all the million other things that I deem as necessities by myself. The same specialization argument holds for a non-human entity such as a Company too. Thus, for any entity (human/non-human) to exist in society and thrive, they need to rely on working with/ interacting with an incredibly large number of people/entities. Clearly two entities will want to interact only because they both benefit by doing so! This is a fundamental economic reality. It is this economic basis of mutually beneficial interaction that we term as ‘collaboration’. Thus, collaboration is clearly more than just communication! With this definition in mind, let us look at what we mean when we say ‘Multi Enterprise Collaborative technology platform for Transportation and Logistics’. Collaborative: Enabling collaboration. Every entity that participates on this platform does so only because there is economic benefit to itself. It is not coerced into doing so. When an Entity collaborates with another, both stand to benefit. Collaboration is NOT a zero-sum game. Technology Platform: A technology ‘platform’ is like a weapon-system (but with a constructive end in sight!). You can arm this platform with different types of weapons that will achieve different Enterprise objectives. These weapons are -in-a-sense- solutions to different business challenges. And what are these business challenges? 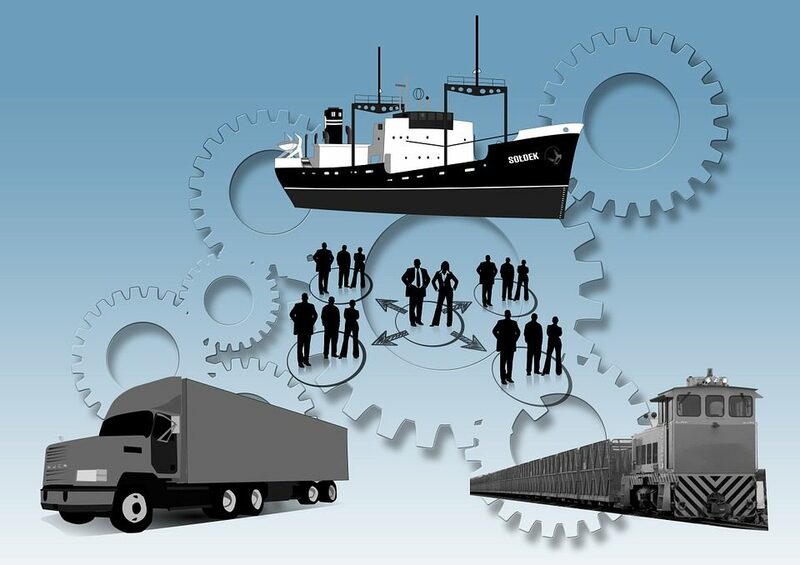 Keeping in mind our whole discussion around Specialization by entities, we (ShipX) as an Entity, have specialized in understanding the narrow worlds of Transportation and Logistics and world-class technology product building. Let us keep one thing in mind as we go along. What is today deemed to be ‘mutually beneficial’ will possibly become ‘unavoidable’ tomorrow! In the next blog we will discuss the all-important dimension of collaboration a little more….some history, some current practices, and some ‘looking ahead’ – especially in the Transportation and Logistics business! Every transporter you meet in India, they are always on the phone and always busy. Busy chasing some loads, tracking what happened to delivery of a truck and so on. Everyone from dispatch clerk to manager and all the way to senior management are always working on a reactive mode. Every one is working on a day to day basis reacting to issues that come up. There is very little planning and pro active steps taken to improve operational efficiency. Most of the times, transporters get to know of a problem either when their customers call them about late delivery or when they don’t get payment for a specific shipment. Typically, payment cycle is 30-60 days after the delivery of the shipment and knowing issues about delivery so late is not helping anyone. In spite of growing business across geography with various branches/office, they use very little or no technology to manage operations. Most of their current technology is focussed on managing the payment / invoice and not on managing day to day operations. Hence, transporters cannot ensure consistency and service quality across all branches. Another issue I see with transporters is that information is held with few people. Due to lack of processes and systems in place, even though a specific supervisor or manager knows information about a specific shipment, same information is not available to other people within the same organization and definitely not available to their customers (consignor or consignee). Even though, transporters are struggling to provide best service to their customers and retain their customers, lack of systems and processes would prevent them from providing quality service. If any customer asks for information about number of shipments delivered on time without shortage or damage, transporters don’t have such information readily available to share with customer. With internet penetration increasing and cost of technology coming down, it is right time to deploy technology to have control of operations and manage processes in an efficient manner.